Pat Foran is an award-winning journalist who has worked for 3 different TV affiliates across Canada. He is the host of a popular segment called Consumer Alert and his stories are seen on TV stations across the country. Pat has helped consumers recover millions of dollars, exposed scams and passed on countless money saving tips. He works to educate the public on matters of fraud related to door to door sales, the internet, phone scams, home renovations, auto sales, financial matters and countless other issues designed to educate and lead to changes in legislation. 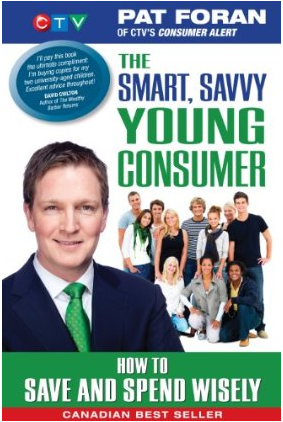 He is the author of 4 bestselling Canadian books, the latest being The Smart, Savvy Young Consumer – a book designed to help young people become more financially literate. Pat is passionate about financial literacy and served on the Federal Government’s Financial Literacy Task Force. He has also donated his time to work with World Vision in Uganda and The Christian Children’s Fund of Canada in Nicaragua.